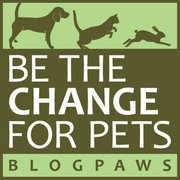 BlogPaws Wordless Wednesday Pet Blogger Hop: July 4th Pet Safety! Our friends at BlogPaws want you to ensure your pets stay safe this July Fourth holiday, so they've shared some tips from PetMD for keeping Fido and Fluffy happy and healthy—check them out! I'll be faithfully guarding our backyard all weekend...from the safety of Parental Unit's my bed. 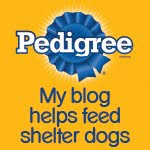 Now on to the BlogPaws Wordless Wednesday Pet Blogger Hop to visit all of our blogging buddies! Nice work, Bocci! Just as I'm sitting here visiting blog friends the fireworks are starting in the neighborhood around us. Ugh …the fourth is still five days a week and people are starting already! Fireworks stink! It's going to be a long weekend. YUK! I'm curious to see how Katy will do this year. Bailey was OK until he hit his senior year and then noises started to freak him out. Katy always seemed more worried about Bailey. We'll have to see how she reacts on her own.